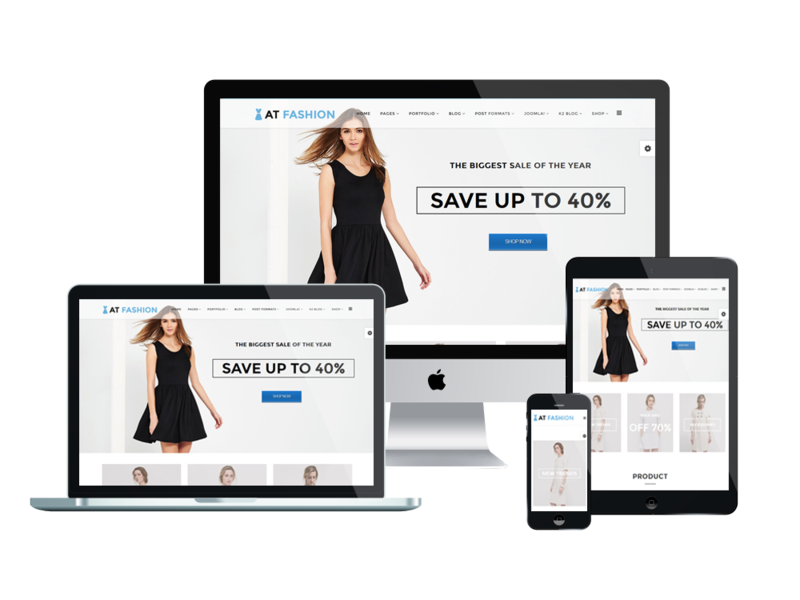 AT Fashion Shop is Responsive Clothes Shop Joomla template tailored for Fashion Store or Clothes Shop websites. This template is used to present the products, promote the marketing and establish a brand for your shop. Moreover, it makes the products more appealing to visitors and increases sales with attractive design. Make your sites displaying on all mobile devices with 100% responsive layout. Besides, we offer support services like Bootstrap CSS Framework with the latest version, K2 extended style, and Font Awesome Embed… ready to help clients develop their websites. After that, it comes with 4 color styles and boxed layout helping to create wonderful websites with various layouts. 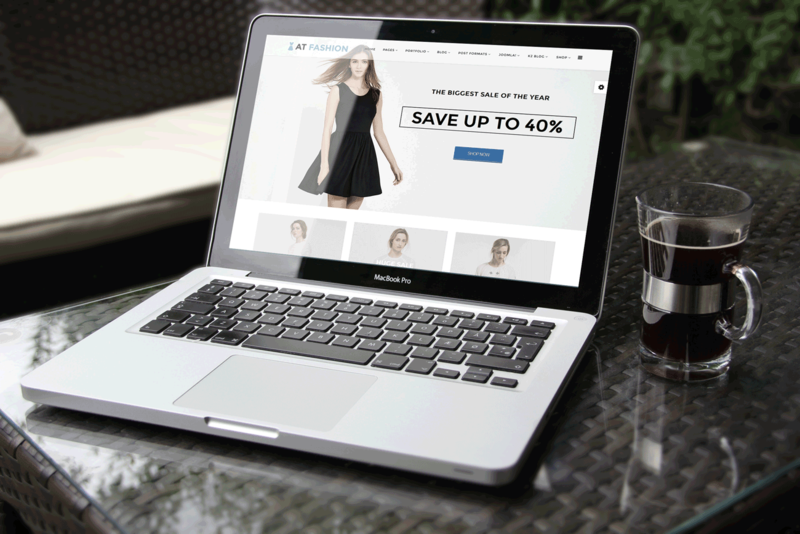 Shopping cart features based on powerful Joomla! eCommerce extension Hikashop. 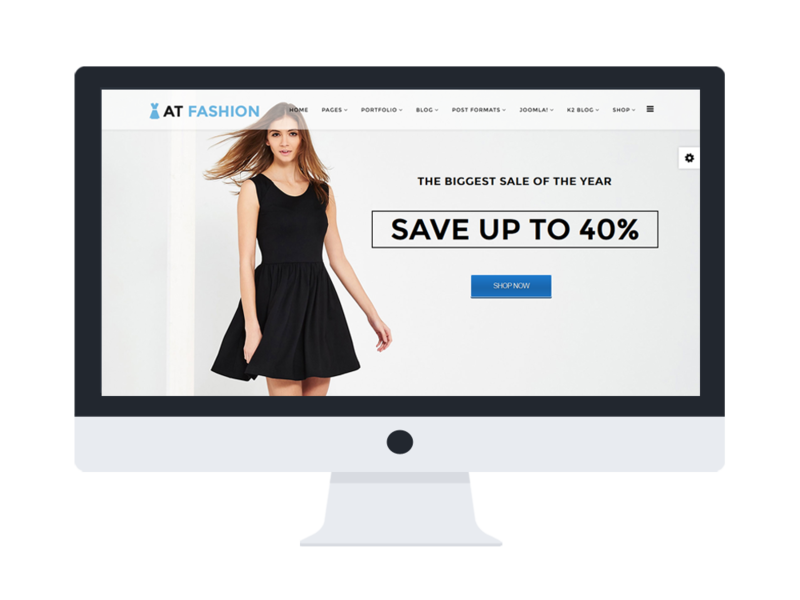 AT Fashion Shop is simple, clean looking template designed mainly for new business websites. It’s easy to custom and edit content via convenient template parameters. 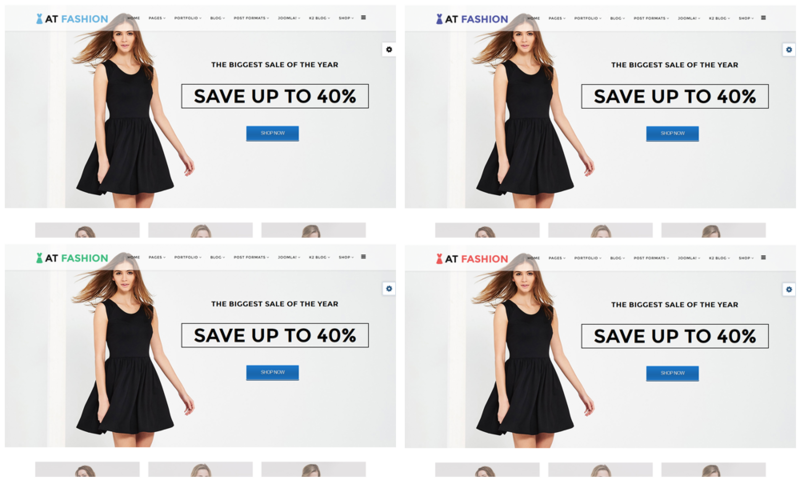 AT Fashion Shop builds with fully responsive layout based on Bootstrap CSS. It has special built-in design optimized for modern mobile devices iPhone, Android and Windows Mobile-based.